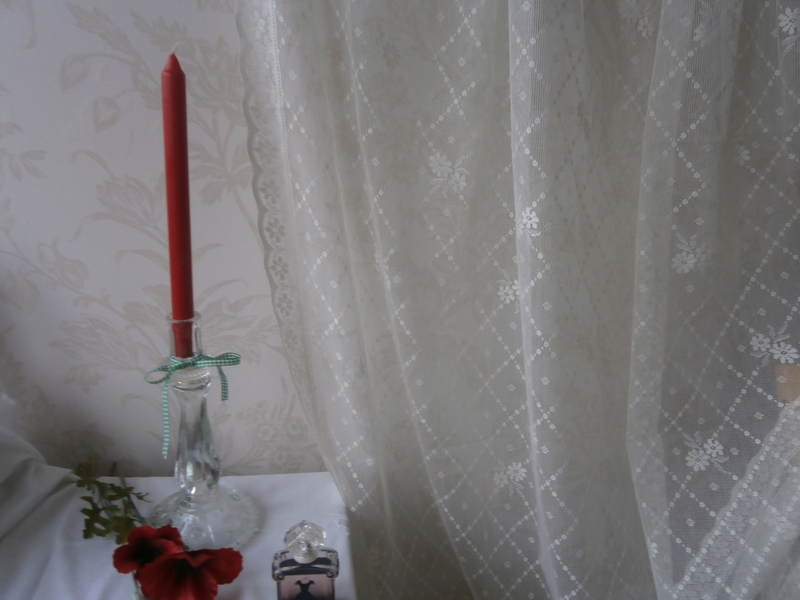 This is a gorgeous vintage ivory cream pure cotton lace panel measuring 58 inches wide by 108 inches long. A very elegant trellis rose design with scalloped edges, this panel is unfinished with raw edges at the top and bottom and is in unused condition. 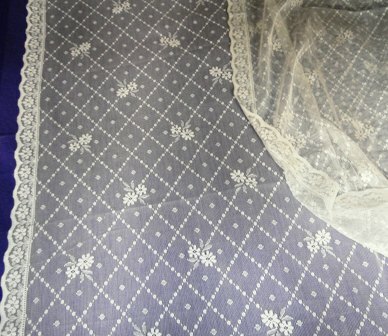 A very sheer 12 point top quality lace panel manufactured on Nottingham Lace Looms in Scotland. 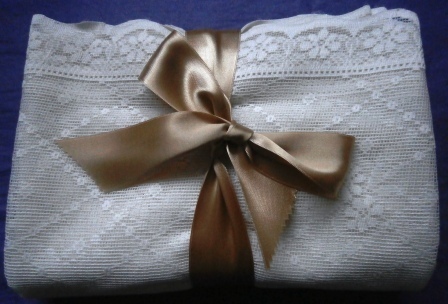 This is a discontinued vintage Laura Ashley design. The very large size of this panel lends itself to a multitude of uses in the authentic vintage home.